Children dentist is somebody who is dedicated to managing the oral health of children throughout their teen years from infancy. Pediatric dentists have the qualification and experience to take care of children’s mouth, gums and teeth throughout the different stages of childhood. With six months of age, baby teeth begin to grow. By the time they attain the age of six or seven years, their teeth start to fall off which are eventually replaced by secondary and permanent teeth. If proper dental care is not provided to the children, they remain at risk of tooth decay and other diseases that can result in a lifetime of complications and pain. The chance of getting early childhood dental caries, an infectious disease, is seven times more common than hay fever and five times more common than asthma in children. They must have completed four years of dental school at least. Then he would also have completed two additional years of residency training doing dentistry for teens, children, infants, and children with special needs. Gum disease management including pediatric periodontal disease, mucoceles, and short frenulae. Diagnosis of oral conditions related to diseases like hay fever, ADHD, asthma, congenital heart defect, diabetes, etc. Tooth defects and cavities repairing. Correcting an improper bite and treatment of crooked teeth. Preventive dental care including fluoride treatments and cleaning along with diet and nutrition recommendations. 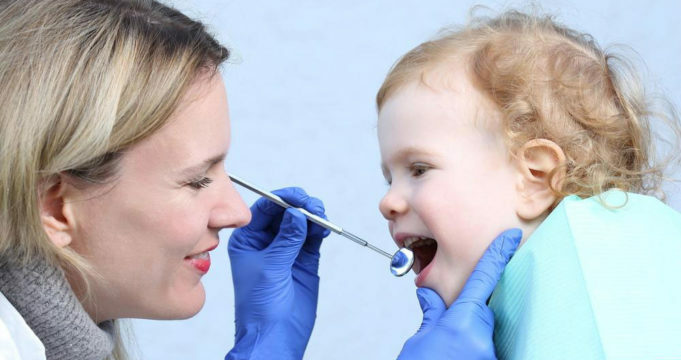 Oral health exams of infants to check if they are at risk of caries. You would find pediatric dentists to practice in several locations including medical centers, dental schools, and private practices. If you ask your pediatrician, he would be able to help you with the name of pediatric dentists in your area.